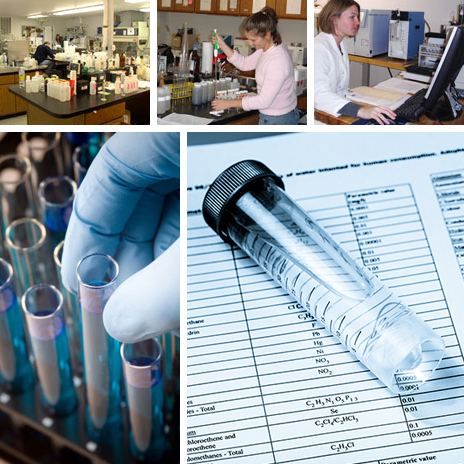 Water Testing Labs of Maryland (WTL of MD) has been doing water and wastewater analytical services for customers in the Maryland, Delaware, Northern Virginia and Washington DC region since 1975. We were the first private laboratory certified by the Maryland State Health Department. We presently have four State certified water testing laboratories throughout the region, three in Maryland and one in northern Virginia that service over 1000 water systems and over 100 wastewater systems. Our labs perform thorough water quality tests of drinking water, city tap water or well water to identify any contaminants. We also perform septic surveys and termite inspections for real estate transfers. Our operations division, Chesapeake Operations, operates over 30 water and wastewater plants throughout Maryland. Through our operations division we offer operation and maintenance, regulatory monitoring and reporting, management, and training and project consulting. For more details on this program or quantity discounts on water testing please call or email us today. "Thank you so much for all your help with the water testing for our house. Your quick work helped us to close on time. Thanks so much."